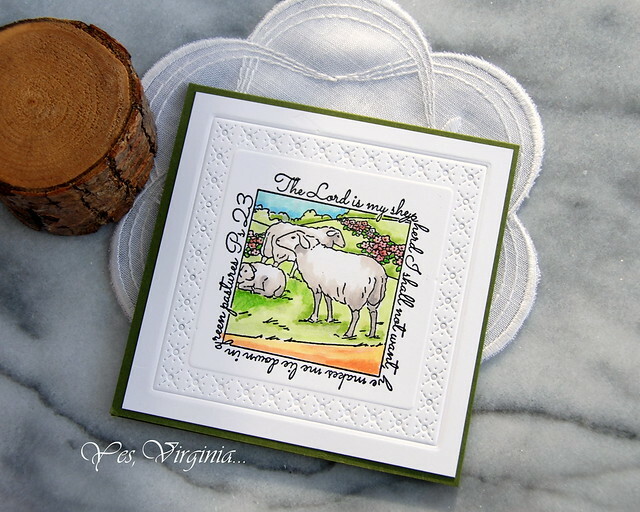 For my project, I am using Art Impressions Shepherd Cling stamp. This square image is very easy to color due to it's size. I used Altenew Artist Markers to do the coloring! The Snowflake Stitched Frames (Penny Black) provides the lovely textures and size! Time to do a quick post to announce my monthly Altenew $15 Gift Card! Every month, Altenew offers my readers a chance to win a gift card. That means, YOU, who follow my blog and comment in any of my Altenew posts have a chance to win the random giveaway! Beautiful Virginia. Such a subtle background. Congratulations, Dawn, please e-mail me at becr8ive2@gmail.com to claim your prize. Please do so before Feb. 7th, or another winner will be randomly selected. 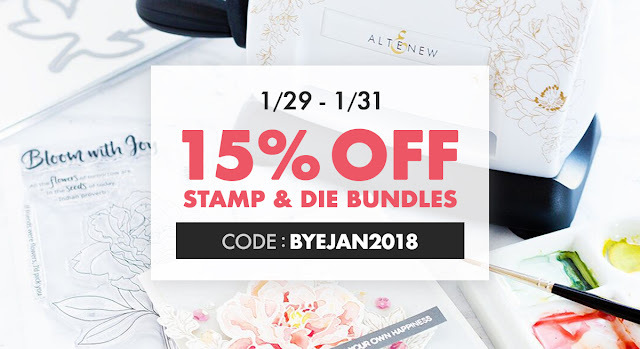 Don't forget today is the last day for Stamp and Die bundle -->15% off! 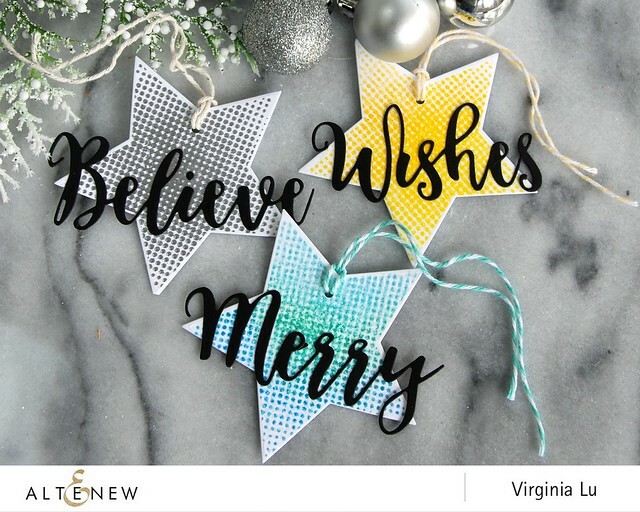 Spellbinders has a BOGO deal! You can click Page 1, Page 2 or Page 3 for details. 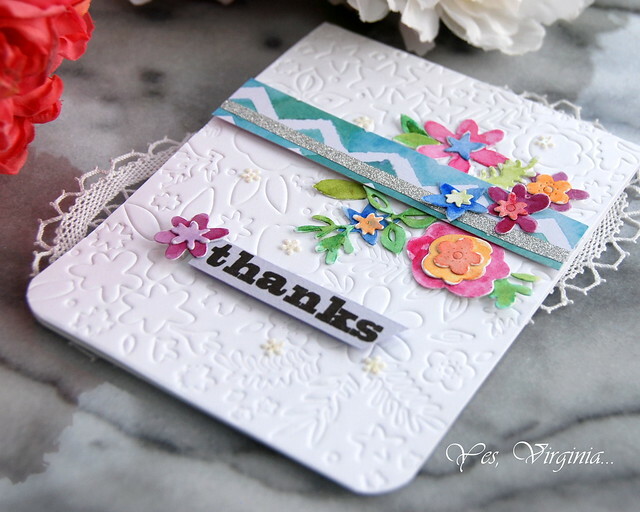 See you later for Simon Says Stamp Wednesday Challenge! 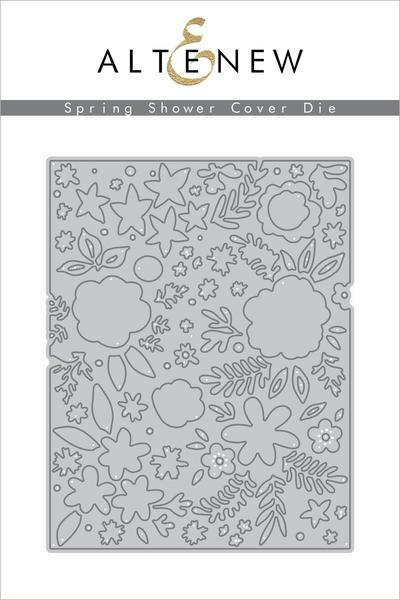 This is one of the newer cover dies from Altenew. Today's post is my 1st take on it. Honestly, I was daunted by the smaller pieces of this cover die. I love using cover die for dry-embossing, that is a well-known fact now. Good things are worth repeating, so here I go again. 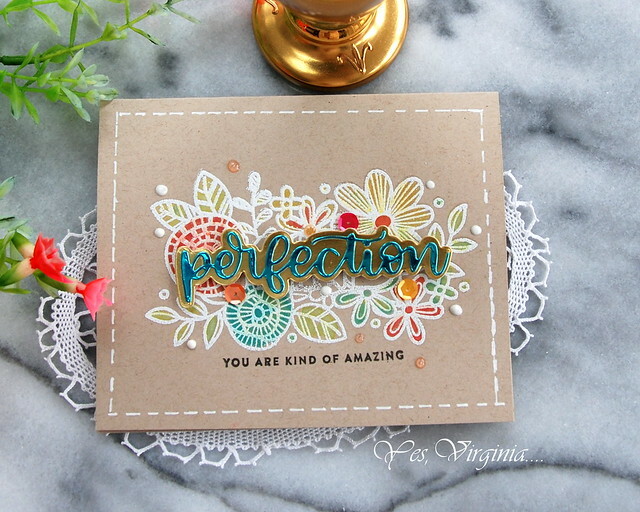 You only need a Tan Embossing Mat (Spellbinders)and let the die cut machine do the magic! Other than dry-embossing the cover die with the Tan Embossing Mat, I also die cut the cover die along with Bristol paper. I then water-colored the tinny flowers and leaves. Using pattern paper is also another good way to bring out the colors. For instance, my watercolored flowers and leave are a bit too soft on their own, so I added pattern paper and a strip of silver to accentuate the colors. It worked! Yay for a happy card! Your ongoing comments, feedback, e-mails and use of my affiliate links are huge support to me. Don't forget that the Altenew promotion is still on. Use code BYEJAN2018 and shop HERE. The Invaluable Vellum with Alcohol Inks! 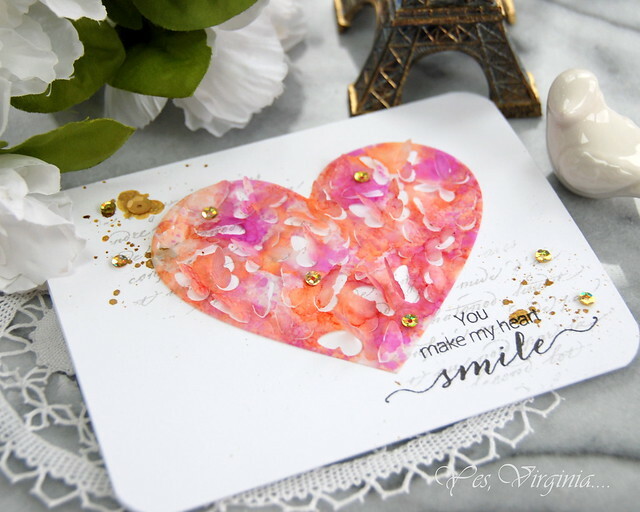 I want to share a card created with this awesome BUTTERFLY HEART POP Die from Penny Black. It all started with a piece of leftover vellum inked with Alcohol Ink. I let the piece sit on my crafting area for a long time... weeks! Vellum is nearly transparent, and creates this airy and light feel. 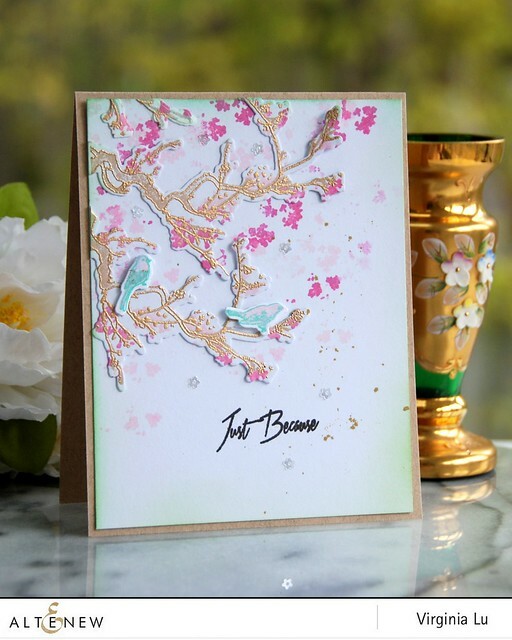 With the pop-up butterfly die, using vellum seems like a good idea! Since the alcohol-ink colors are quite intense in this, I had no trouble gluing it to the white card stock and the glue stayed hidden. I decided to add some light text background (Script from Penny Black) and splatter. I think I like how this turned out. The gold color from Lilac Lane Metallic Sequin Mix really brings out the richness to the overall design. HERE is the latest over Simon Says Stamp. You can find the new Ranger products here. This Cosmos Background Stamp is on my wish list. ps: your comments make my heart smile. 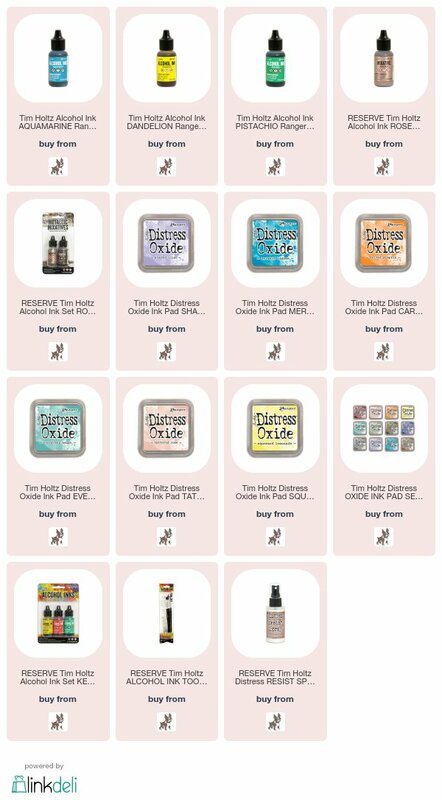 I am waiting for my order of NEW Distrss Oxcide and Alcohol Inks to arrive! Can. not. wait. (I am listing what I ordered). I want to pass on the Altnew promotion. All Stamps and Die Bundle are 15% off. Use code BYEJAN2018 at checkout. 168 bundles are available in the shop. Not valid on previous orders. 3 DAYS ONLY. here or click on the inks below. 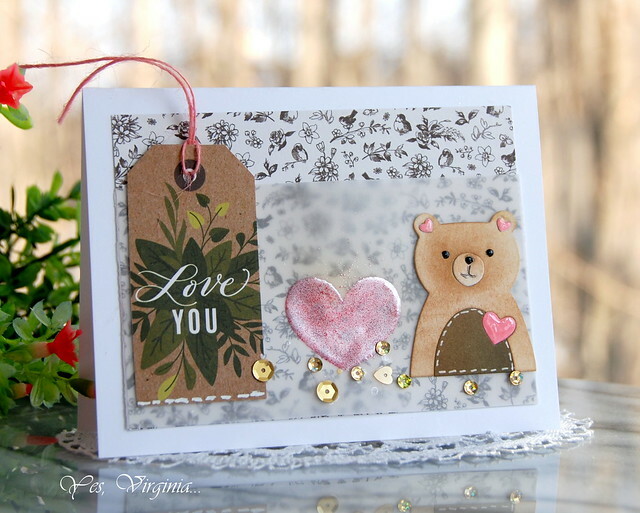 These are my cards using the stamps and die bundle. 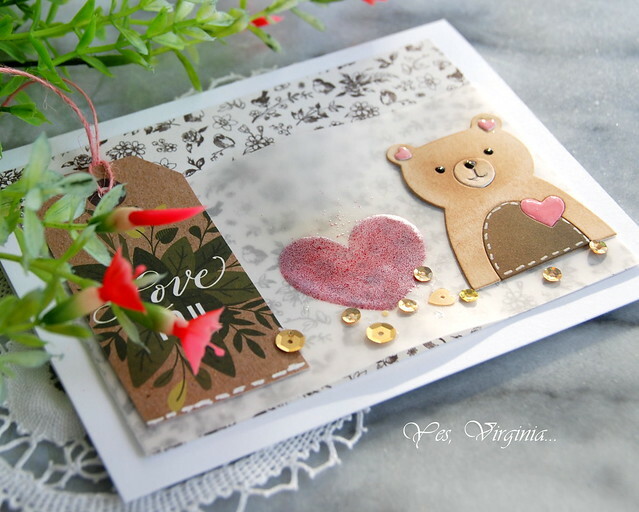 I am popping in with a quick tip about about embossing. This bear image and stamp are my prime examples with this design. All I can say, when you have the right tools and supplies, the sky is the limit! 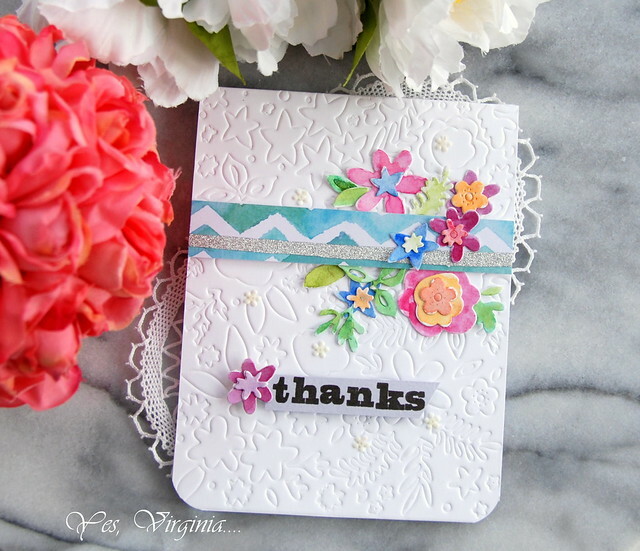 I love stamping, embossing and coloring on vellum. 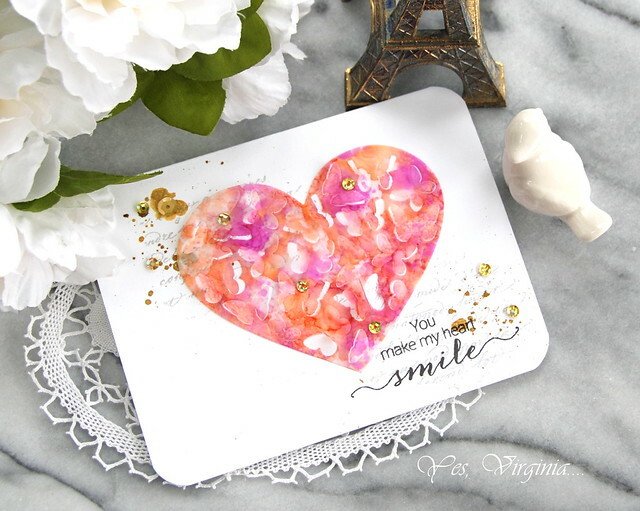 Ding--->With the stamps positioned inside the MISTI in place, I stamped the heart in Embossing Pad and applied WOW Glitter Pink Embossing Powder multiple times ( I think I did 4!). This really built up the volume and strengthen and define the heart image. Hope you try this heavy-embossing if you have not done so. Today's post is a random share about inspiration. I was in the middle of traveling to Disney World at the time and failed to see/respond to the message. Well, I am so glad that they company went ahead and made the inspired cookies! This was my card that inspired the pastry chef Barbara. Here is her Instagram photo and you can find my Instagram here. Receive FREE 36 sheets of 12"x12" patterned paper(value $15.99) on orders over $49 from 1/25/2018 at 12:01 AM EST through 1/28/2018 at 11:59 PM EST. It will be added to cart automatically. Limit one per customer. Not valid on previous orders. 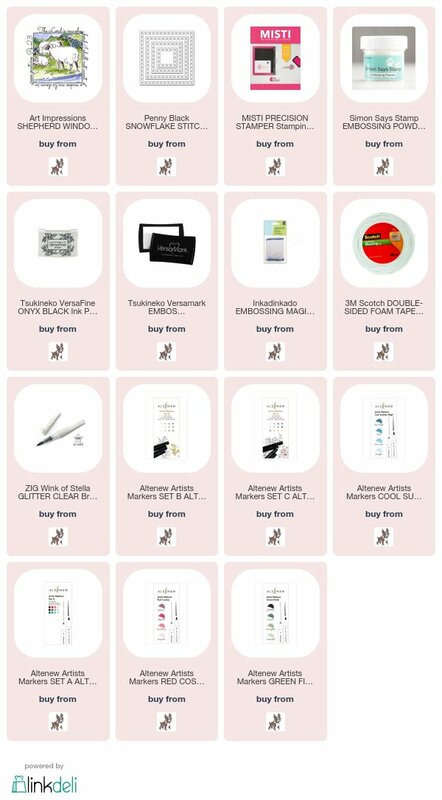 I am listing a few Altenew sale items and SSS release in the following links. 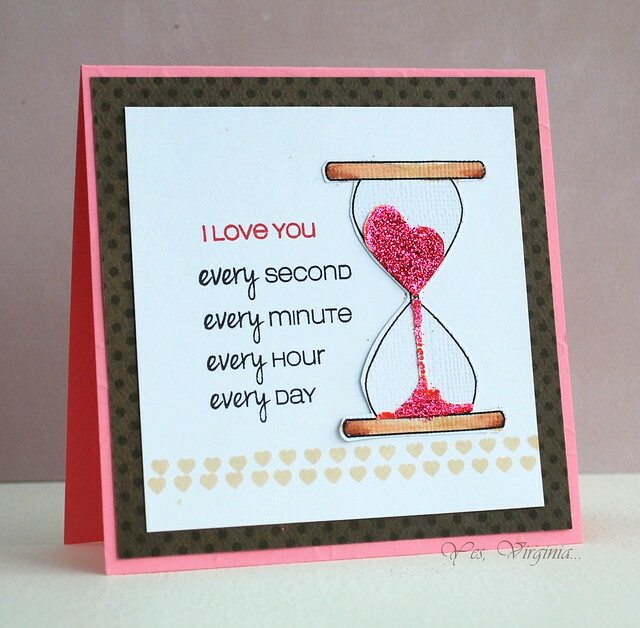 I am popping in to share more inspiration from Simon Says Stamp "LOVE" Release. 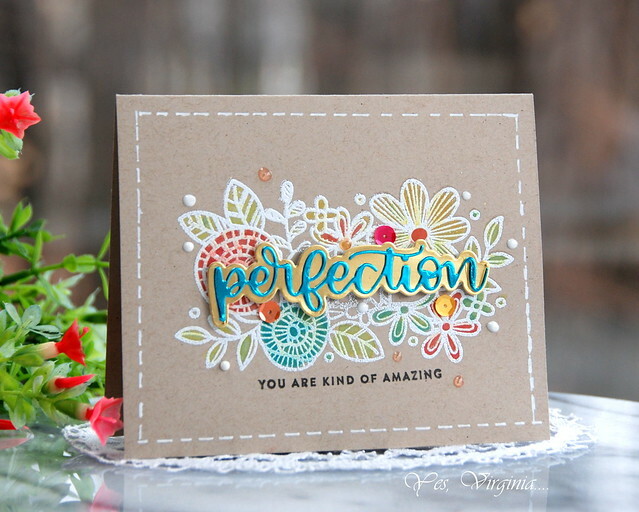 This new die "Perfection" truly is....well perfect. It comes with two images and you can use the single script alone or use both. However, I wasn't sure how to use it perfectly. and BAM, this is it. Sometimes we are limited to what we see in a stamp set. We often use it "AS IS". I am guilty of that, too. However, we need to be inventive and clever about using the images. 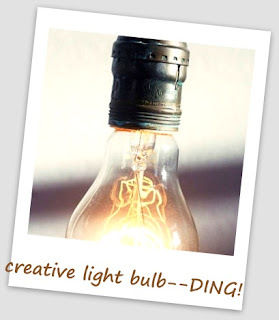 Ding---> cover up a pre-existing die over the stamp. 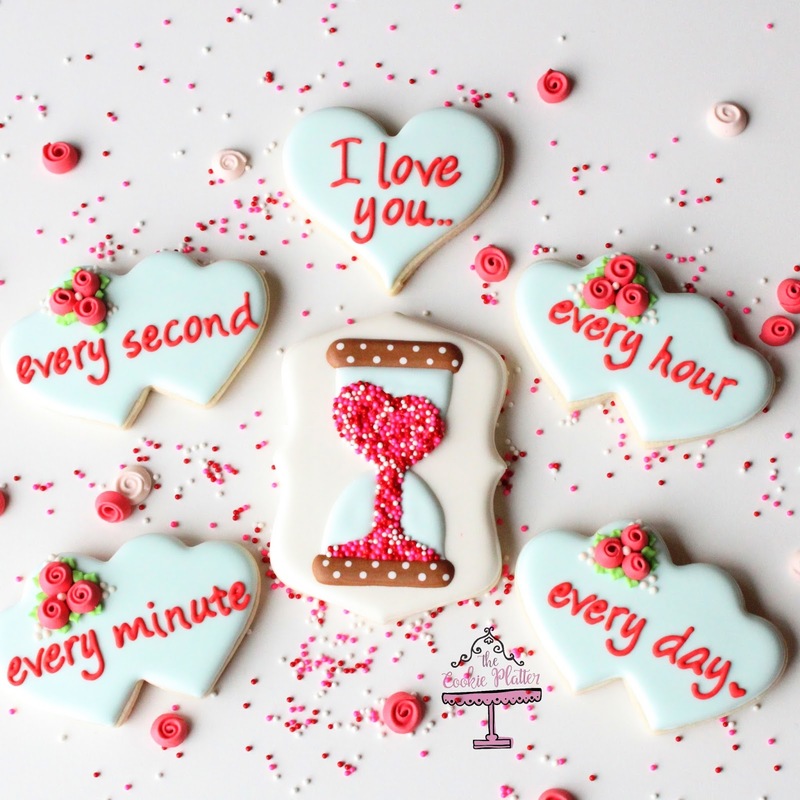 You can stamp, cut out the sentiment of your choice and then pop it up over the existing sentiment. In today's card, I simply pop a word die over it....done! 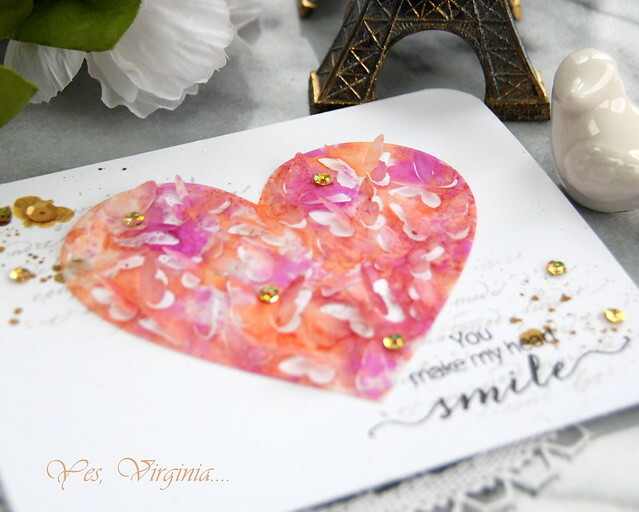 With the help of Wink of Stella, I color the floral iamge with Distress Oxide. You can check out the entire release here. 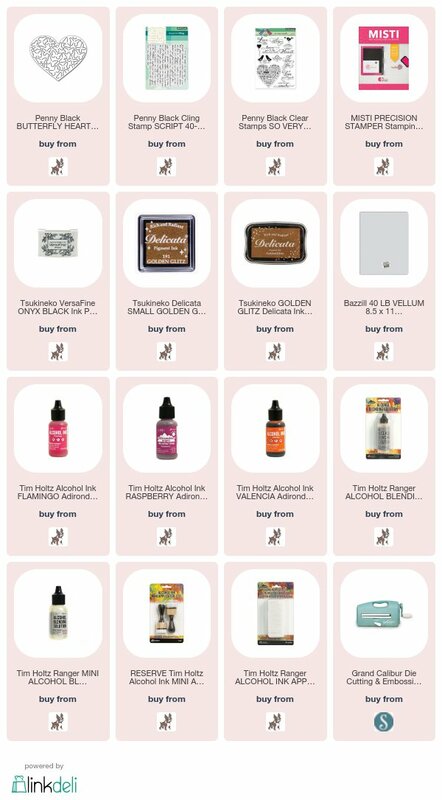 I am also listing the supplies and the new release items below. 👉👉👉See the entire release here. You can see the entire new SSS elease here or click on the inks below. 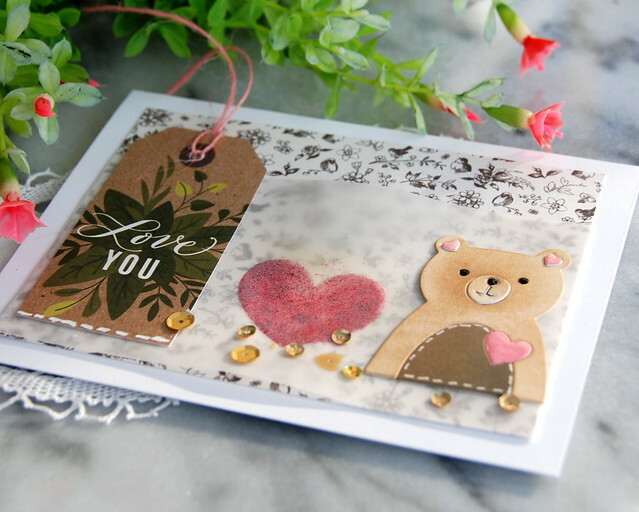 Simon Says Stamp New Release "LOVE"
Die Cutting in TWO ways! 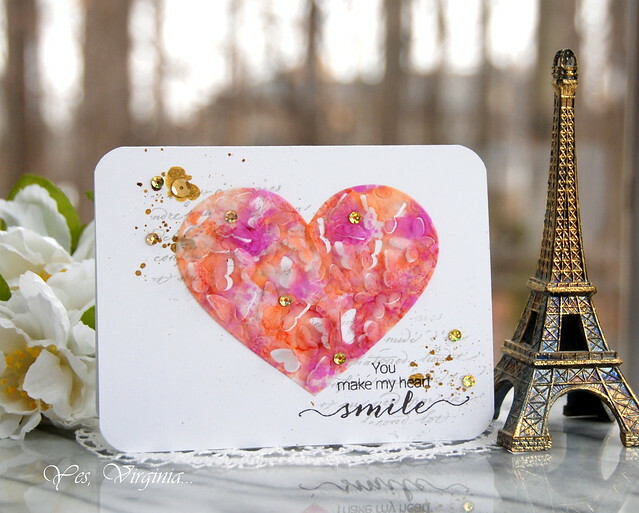 Create a Background with Emboss Resist!